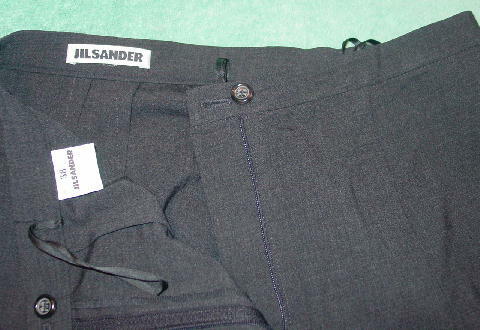 These 96% fleece wool and 4% elasthane multi-tone dark gray pants were made in Italy by Jil Sander. 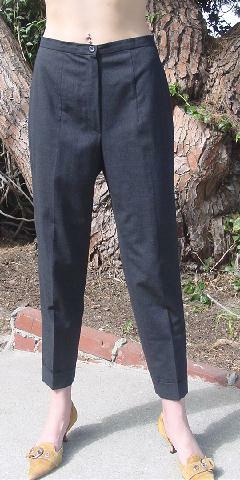 They have a 5 1/2" long zipper fly, 7/8" wide waistband, and a two button (one exterior and one interior) waist closure. 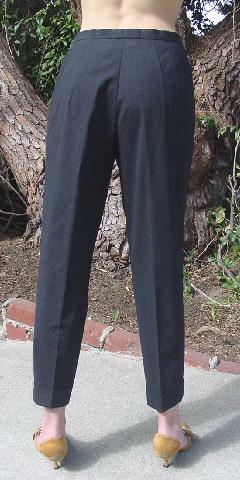 They have 1 7/8" wide pant leg cuffs.